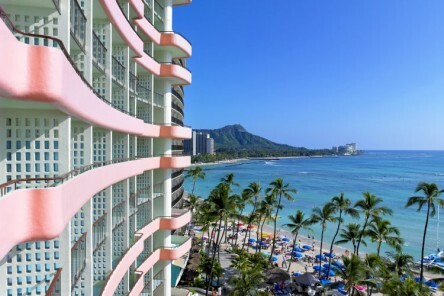 This resort is located on the section of Waikiki Beach the ancient Hawaiians called Kawehewehe, or Healing Waters, where palm trees sway in the gentle tropical breeze and turquoise waves gently lap the warm sand. 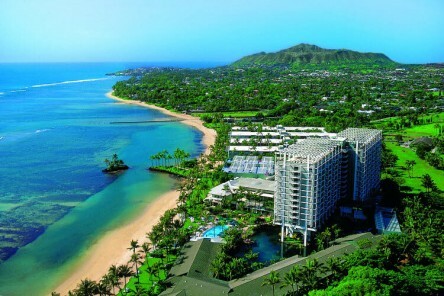 639 guest rooms; oceanfront, ocean view, partial ocean view, city view, moderate and one bedrooms with various views. Lead Price based upon: Moderate Room. For alternative room categories and rates please contact us. Special Offer: Wiki Promotional Rate in Moderate Room. For additional room categories and offers please contact us.